Retired Supt. Jack Lew Morton – Deceased – April 5, 2019 – North Vancouver, BC. Retired Supt. Jack Lew MORTON (#18847/O.966) North Vancouver, BC passed away on April 5, 2019. Cause of death is believed to have been a heart attack. 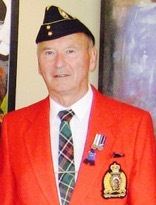 Jack joined the RCMP in Western Manitoba and trained at “Depot” and “N” Divisions. Following training, he was posted to “B” Division, serving in St. John’s, Gander and Cornerbrook Detachments. In 1962 he was posted to “Depot” Division as an Academic Instructor. He was subsequently posted to “K” Division, serving in Edmonton, Drumheller and later as NCO i/c Two Hills Detachment. He was commissioned and transferred to “HQ” in Ottawa, and then to Calgary, Victoria, Vernon and Kamloops. At the time of his retirement in 1990, he was Officer i/c North Vancouver Detachment. After retirement he was very active as a volunteer with a number of agencies including driving cancer patients to the Cancer Clinic and doctor’s appointments. He was a long time member of the Vancouver Division of the RCMP Veterans and an active member of the Honour Guard, attending many services. A Celebration of Life Service will be held in North Vancouver, at a time and location as yet to be determined. The family have requested a Honour Guard for the service.